Ambition, why should you care? 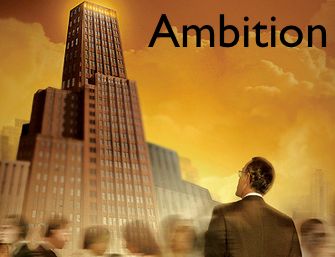 By now, you should have heard about ambition if not read the latest post from the author. But what’s going on behind the scene? Do we have the exact same SQL query sent to our DB? That’s pretty hot. Especially when you have to use eager loading! => "SELECT * FROM photos JOIN user WHERE (photos.`title` IS NULL AND users.name = 'test') ORDER BY photos.created_at, photos.size DESC"
=> "SELECT * FROM photos ORDER BY photos.title"
=> "SELECT count(*) AS count_all FROM photos WHERE (photos.`title` REGEXP 'ambition')"
=> "SELECT * FROM photos JOIN user WHERE (photos.`title` IS NULL AND (photos.`created_at` < 1.`week`.`ago` AND users.name = 'test'))"
You can see that photos.created_at < 1.week.ago is the problem. => "SELECT * FROM photos JOIN user WHERE (photos.`title` IS NULL AND (photos.`created_at` < '2007-09-08 19:38:48' AND users.name = 'test'))"
=> "SELECT * FROM photos JOIN user WHERE (photos.`title` IS NULL AND (photos.`created_at` < '2007-09-15 19:41:37' AND users.name = 'test'))"
For now, Ambition is still just wrapping ActiveRecord::Base#find but the plan is to actually generate SQL. Hopefully we’ll also be able to use Ruby code from within an Ambition block. Kickers methods are very interesting and could become a really nice way of speeding up your app and keep your code clean. Ambition is a great query library, I think I’ll start using it whenever I have “find” calls with multiple conditions especially if my conditions are related to another model. However I still didn’t figure out how to use an inner join with Ambition. I’m glad to announce a major update of Globalite. First off I’d like to thank all the translators who helped with this release. Globalite now support its first Asian language: Chinese! Ivan Chang did an awesome job creating a localization file in Chinese for Taiwan, Hong Kong and Main Land China. I’m really glad thinking that Globalite will make the Rails experience much nicer for a lot of Chinese people. Ivan also pushed me to add a new feature that people had asked about: a better ActiveRecord error message support. I also added support for pluralization directly in the translation file. (pluralization doesn’t always make sense in some languages) I’m planning on adding a better Inflector support later on. See the wiki for more information about pluralization. I’m writing more tests and updating the sample app before releasing the updated version. It should be out in the next few days.